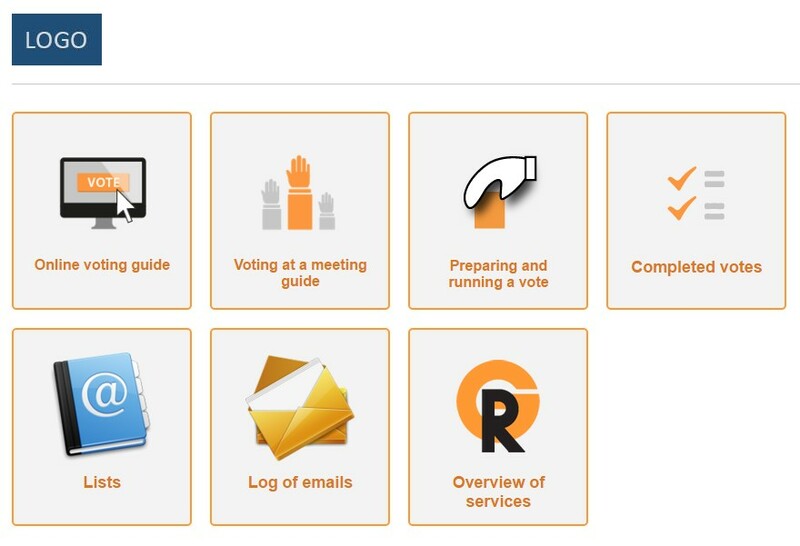 gReception VOTING is an online application that includes functions for fast, easy and safe voting in your association or company. Be it electronic election or voting concerning any other questions. 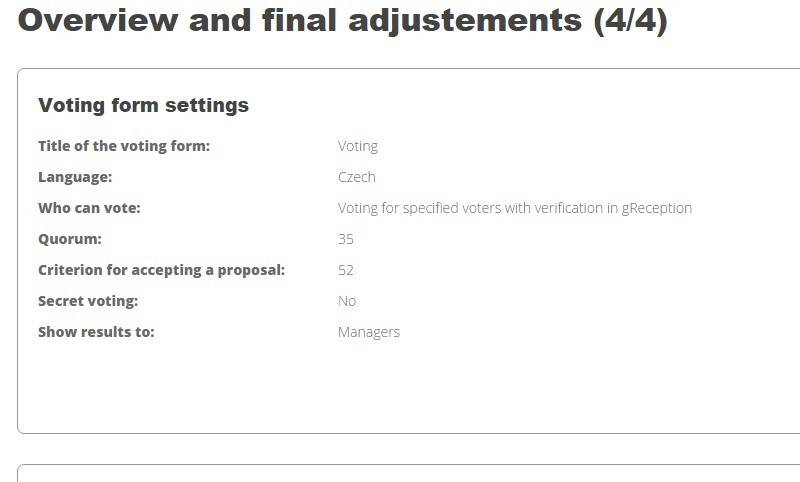 gReception VOTING makes communication during all collective decisions easier – you will learn your colleagues' opinions in a short time and the system will evaluate it. Cost and time effective – significantly cheaper than voting by regular posting, saves time for organizers and voters. Easy – The guide will lead you step by step from setting to the final protocol of the results of voting. Secured – Guarantee of the secrecy of vote, encrypted data transmission – see more at the Declaration of security, it offers many tools for the security of voting. Locking the form against changes during voting, identity verification of the voter. Precise – It keeps an eye on the entered parameters (quorum, criterion for adopting a proposal, different weights of votes) and provides evaluation without human intervention. It thinks of everything – in one place, you will set, send invitations, plan automatic comments, display results and print protocols. Comfortable - It all works through web interface – it is not necessary to install anything, it is available on PC, tablet as well as a phone. Ideal for voting and elections per rollam. Online voting – It is carried out online, within the bounds of a published term. First of all, you prepare the voting questions, set the parameters (quorum, criterion for adopting, who is entitled to vote, etc.). Subsequently, you invite the voters and launch voting. When voting finishes, you just print the protocol of results of voting or export data to Excel. 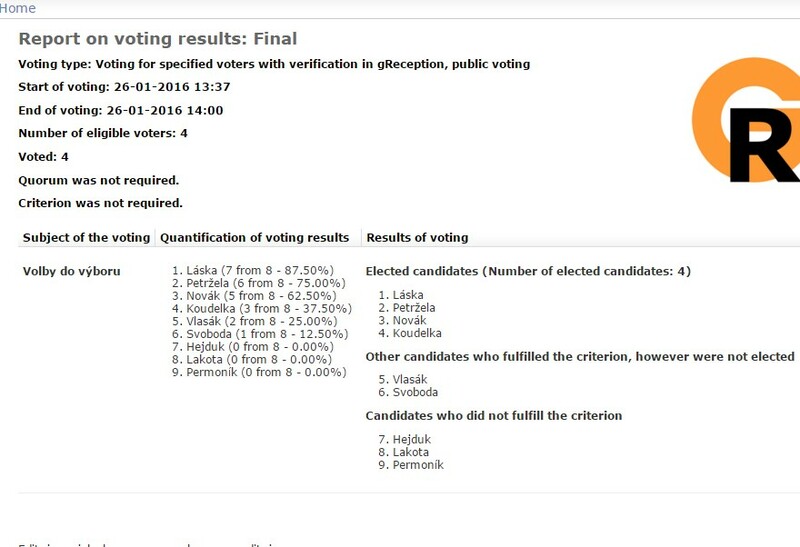 Online elections – Choosing from the list of candidates with the possibility to reduce the number of votes of a voter, number of voted positions; the score sheet is divided into three parts – elected, met the selection criterion (substitutes) and did not meet the criteria. Mandatory personal data protection is provided in accordance with Act No. 101/2000 Coll. 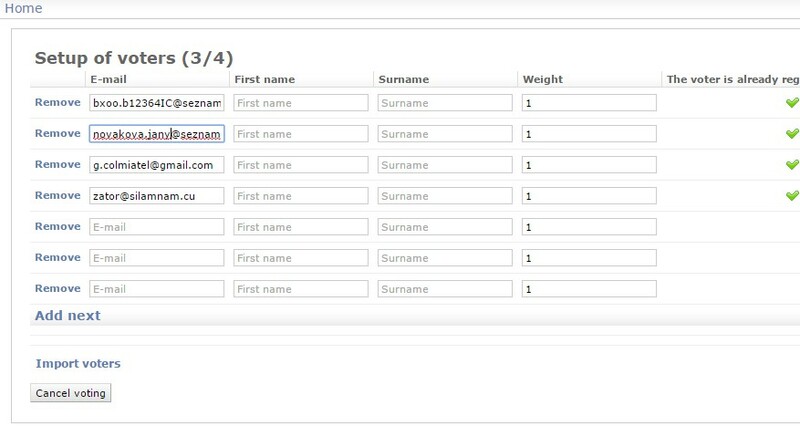 Bulk mailing is used for sending calls for vote with the minimization of emails going to the spam folder. It takes place in real time at a meeting or session. 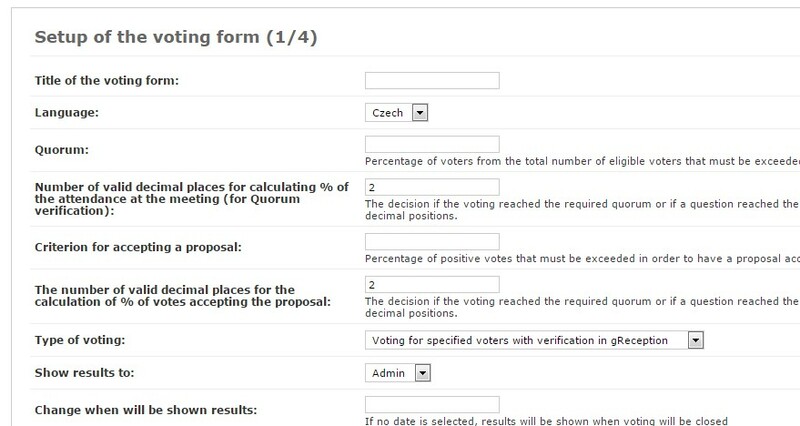 Firstly, you prepare questions for voting, set parameters (quorum, criterion for adoption etc.). When voting is launched, the application will lead you question by question.